A World view on Netaji: Inspiration and the acts-thoughts behind making "Netaji - The Forgotten Hero"
Inspiration and the acts-thoughts behind making "Netaji - The Forgotten Hero"
30 January 2011 - Filmmakers are somewhat reluctant to explore celluloid translations of history. They are instead inclined to offer new interpretations of history, shed light on little-known facts about their subjects, and even raise questions that were missed in the course of academic research. Earlier films like Bimal Roy's Pehla Admi and Hemen Gupta's Netaji Subhash Chandra Bose belong to the typically post-colonial genre. With relaxation of censorship codes that prohibited anti-colonial propaganda, this genre drew upon historical events of an anti-colonial nature and narrativised the lives of personalities and leaders involved in India's struggle for freedom. Shyam Benegal's 222-minute film Netaji Subhash Chandra Bose - The Forgotten Hero, is like a light at the end of a dark tunnel because few films have been made on Netaji. The film won the Nargis Dutt Award for Best Feature Film on National Integration, 2005. But within a week of its first public exhibition in 2005, it disappeared from Indian theatres, leaving countless Netaji lovers pining for missing out on this historical film. Thankfully, Subhash Chheda of Rudraa Entertainment Private Limited has recently bought the DVD rights to Benegal's film, and the DVD version had its all-India release on 23 January, Netaji's birth anniversary. The title of Benegal's film - Netaji Subhash Chandra Bose - The Forgotten Hero - itself tells a story. "Nobody remembers what he did, except to say that he was a great big hero," says Benegal, adding, "Few people remember that he challenged Gandhi, and about his transnational activities, nobody knows anything. People do not even know that he was married." Benegal's film begins with the differences Bose had with Gandhi over the latter's non-violent approach to the freedom struggle, and compromises with the British. Benegal breaks up the narrative in a three-part structure. These are headed under Itmad, Ittefaq and Qurbani after the motto of the Indian National Army. The first segment unfolds how Netaji escapes house arrest and tries to enter Russia through Afghanistan. Ittefaq shows his days in Germany (including a meeting with Hitler, and marriage to Emilie Schenkl), the formation of the "Azad Hind Fauj" comprised of Indian prisoners of war in Germany, and his journey to Japan in a submarine. Qurbani narrates the story of his leadership of the Indian National Army, the battles and that fateful plane trip out of Saigon. The film is the product of painstaking historical, documentary and other research that spanned 18 months. "When word went around that I was making this film, letters, papers and information began to pour in from strangers," says Benegal. Sachin Khedekar has portrayed the forgotten hero extremely well. He says that the film changed him as a person. "I studied and lived with the character for two years. Netaji has changed me as a person. I heard his speeches, watched his footage and read extensively to prepare for the role." The result is that instead of trying to incorporate Netaji's body language and manner of speech, his performance comes out of internalising the character rather than trying to merely be a physical xerox of the original Netaji. It is as natural a portrayal of the national hero as possible under the circumstances. Rajeshwari Sachdev, who plays the character of Laxmi Sehgal in the film, says that for her too it was a re-discovery of history. "I read the autobiography of Laxmi Sehgal and met her personally to imbibe the character," she says. Netaji Subhash Chandra Bose - The Forgotten Hero spans the years of World War II (1940-1945), leaving untouched the part when he reportedly went missing from Taihoku airport in Japan. "This film is my celluloid homage to the leader, my patriotic mission. Leaving out the controversy over his death or his disappearance has not taken away from my film. I wished to bring out the spirit and values he stood for," says Benegal. He continues, "[Netaji] hardly had any credibility when he left the country in 1941. No official authority backed him in his brave endeavour. He travelled to Germany and convinced the German administration - the Nazi administration- about the need to set India free from British Imperialists and gained their support. He created an Indian legion there, and made them agree to his condition that this legion would not be used to fight on behalf of Europeans. When arrived in South-East Asia, he injected life into the dying Indian National Army and transformed it into a motivated, solid army of 80,000 committed soldiers, ready to lay down their lives for the freedom of the country. Indians across South East Asia joined the army." "The Azad Hind Bank he set up and ran was so successful that he was able to repay the loan he had taken from the Germans. Despite opposition from a section of Japanese generals, he convinced them to the condition that the Azad Hind Fouj would be the first to step on Indian soil. It seems impossible that all this could be achieved by one man. But Netaji made it possible. He is outstanding and extra-ordinary not only as a man committed to the idea of gaining freedom for his country but also as an intelligent and fine human being," Benegal explains. His uncle Ramesh Benegal, recounts the director, triggered in him the adoration for Netaji from his boyhood days. "My uncle was left behind in Rangoon when he was a boy during the mad scramble to leave Burma (Myanmar). 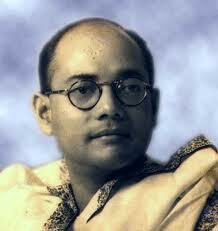 When Netaji arrived in Burma, he volunteered to join the INA. He was chosen by Netaji along with 34 Indian boys, who were sent to Tokyo to train to be fighter pilots in the Military Academy there. But it turned out to be a lost cause ultimately when he became a POW and was released only after the INA trials in 1946." The boy Benegal and his older brother were sent to Mumbai to fetch this uncle. "In my eyes, he was a great hero. He is probably the only INA man who was taken into the defence services in India. He joined the Indian Air Force, became a fighter pilot, and won two Mahavir Chakras, retiring as a highly decorated officer," Benegal reminisces. A R Rahman has composed the music. The soundtrack of the film features 19 pieces composed by Rahman, including 13 instrumentals and orchestral themes, in addition to six further songs, with lyrics by Javed Akhtar. Performers include the Western Choir Chennai and the Mumbai Film Choir. Rahman's Afghanistan war theme and the use of ekla chalo re, the famous Tagore number, the nursery song ghoom parani invoking the sentiments present in the mother-son relationship and desh ki mitti are especially memorable. Shama Zaidi and Atul Tiwari have packed a wealth of excitement, adventure and information into the film. Art director Samir Chanda, costume designer Pia Benegal and make-up man expert Vikram Gaikwad then worked to give the places and characters a look of authenticity and worked out the minutest details. Cinematographer Rajan Kothari shot the film capturing ably, the vast canvas of its history, geography and political ambience just before India's independence from British rule. The film is the product of painstaking historical, documentary and other research that spanned 18 months. The research team explored all available material, interviewed the people alive such as Netaji's Japanese interpreter, then in his late eighties. "When word went around that I was making this film, letters, papers and information began to pour in from strangers. The research includes the discovery of the only U-Boat left out of the total of 10,000 produced under Hitler we used for one of our shoots. It is now an antique fit for a museum of history, not sea-worthy in the least. Fortunately, the model we got was in the same model Netaji actually sailed in. We managed a model for underwater sequences in Sussex in England," informs Benegal. The team shot in Burma and as shooting in Afghanistan was not possible for logistical reasons, Uzbekistan was chosen as a substitute. The Burma shoot was very important in all places where Netaji worked including the 80,000-acre Ziawadi estate that still has around 80 to 90 villages consisting exclusively of Indians who have been living there for more than 100 years. "Netaji's central cantonment was in Ziawadi estate. The people remember him well, and when we asked for 500 locals to come in, 10,000 wanted to join. Very old men brought in their pay books showing their salary slips of the INA - Rs.5. But we could not find a single aircraft used during the Second World War for shooting. So we had to generate them on computer," adds Benegal. Netaji Subhash Chandra Bose - The Forgotten Hero is characterised by a complete lack of loud and bombastic rhetoric, a common feature of most nationalist and biographical films made on national heroes. Its central focus is on the man behind the hero, the human being behind the mask of the national leader, a true lover of his country dedicated to get it liberated from foreign rule. The film's vast canvas that spans not only the figure of a great national hero, but covers a part of India's history over the last years before its Independence, crossing borders to discover the credibility of his convictions among leaders of other countries, are a testament to Benegal's command over understatement through the language of cinema. He is never over-dramatic through any incident or character, allowing history to take shape merely through the unfolding of the story of Netaji over the last five years of his life. The film is characterised as much by the patriotism and hero-worship that brought young men in hundreds to join their hero, as by its documentation of history. It is the film of a journey - ideological, political, historical and personal that uncovers almost by incidence than by connivance of history, a beautiful fictionalized documentation of one of the greatest national heroes Indian has ever produced. Even the portion that shows Bose marrying the German lady and becoming the father of a little girl is essayed through soft and delicate, feather-light touches without diluting the central message of the man.